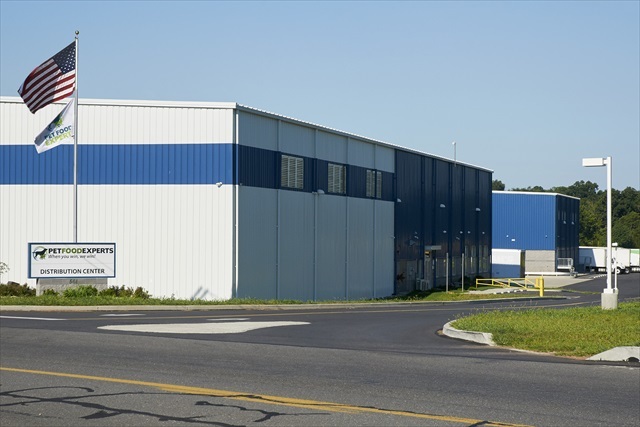 An 18.1 acre, green field site with quick access to the Pennsylvania Turnpike was selected by Pet Food Experts for their new 197,000 s.f. regional distribution center serving the mid-Atlantic U.S.A. region. 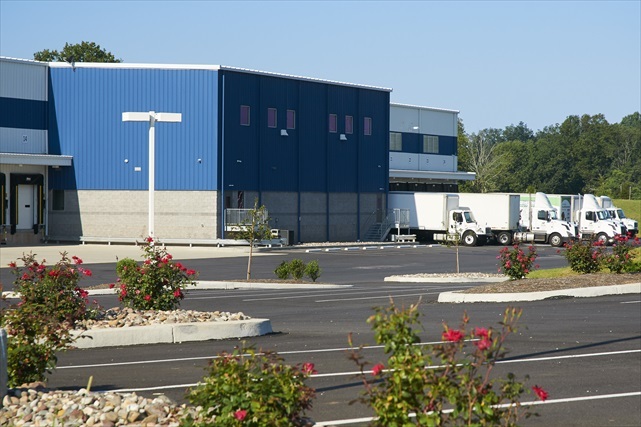 Pet Food Experts entrusted Professional Design & Construction, Inc. (PDC) with the single-source responsibility of planning, designing and constructing their major facility expansion. 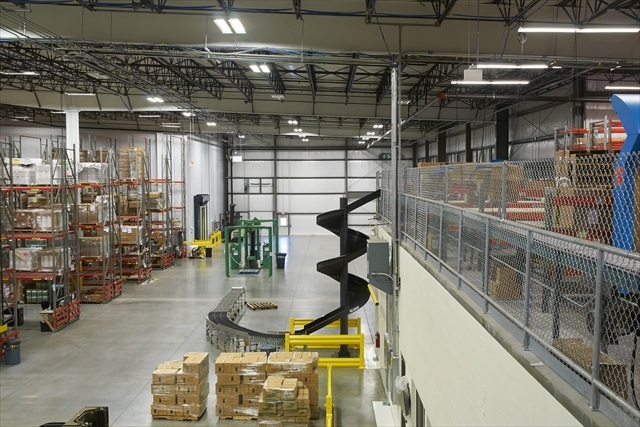 Although the irregular shape of the construction site and the presence of power transmission lines presented building design challenges, PDC’s designers worked with Pet Food’s material handling consultants to organize the new building to provide maximum operating efficiency. 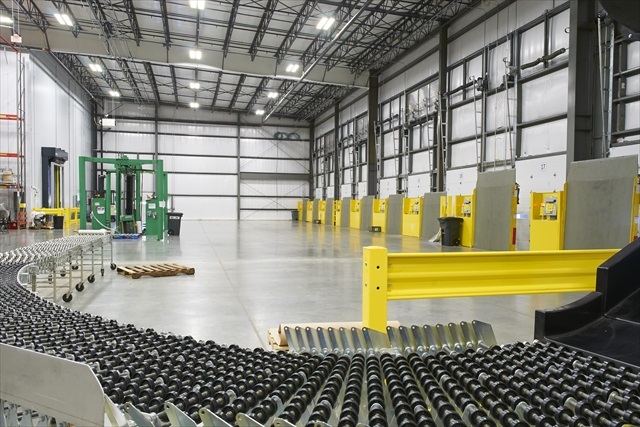 56-ft. wide column bays and 30-ft. clear height ceilings maximized interior space for material handling while an arrangement of 24-truck loading docks provided efficiency for both in-bound freight and out-bound product deliveries. Project design aspects developed by PDC included: relocation and creation of “man-made” wetlands to maximize site utilization; project planning to minimize future expansion infrastructure costs; maximize building operating efficiency; vertical dock levelers complying with food and safety cleanliness standards; energy efficient lighting, sensors and equipment. An administrative area includes meeting and planning rooms, offices, personal locker rooms, and a data facility. Professional Design & Construction values our relationship of trust and confidence with Pet Food Experts.